While we’re all quick to moisture our face and body during the winter, our lips can often feel left out of the mix. Don’t let your lips suffer from the icy temperatures and try some of our favourite products which will heal them in no-time! 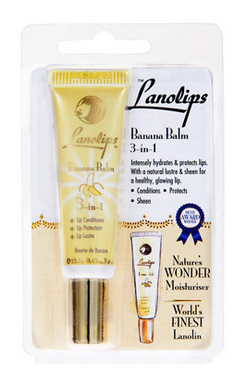 If you’re looking for an affordable drugstore lip balm, Lanolips is the perfect option. Their poplar Banana Balm 3-in-1 protects lips, plus gives them an extra amount of shine so you don’t have to use any other products. Get it while you can – it’s always sold out! A little on the pricey side, this is a cult-favourite for a good reason! The super soft formula is ideal for those suffering from dry, chapped lips and can also be used as a base for lipstick. It’s extremely hydrating with a hint of rose, which is perfect for all occasions. 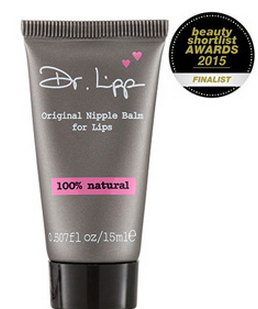 Keep this compact tube in your handbag or clutch and re-apply as needed to soothe dry, cracked lips. The lightweight formula is also ideal for skin suffering from acne, eczema and sun-burns. 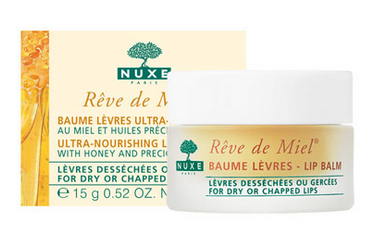 Another favourite amongst makeup artists at an affordable price is the Baume Levres by Nuxe. 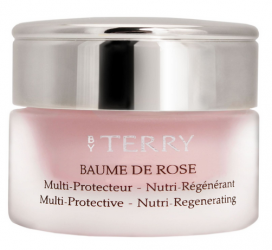 This French pharmacy brand creates hydrating products for both the face and body which is targeted at women with sensitive skin. Apply it to your lips before going to bed and wake up feeling completely hydrated. 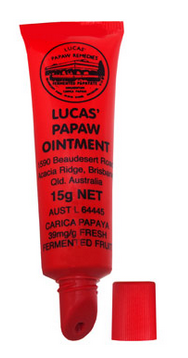 We’re closing off this list with an essential that all women need to have in their handbag: pawpaw ointment. The multipurpose balm is made to cure cracked lips, but can also be used on burns, cuts, nappy rash and bites. To protect your skin from the icy weather this winter, it’s important to keep it hydrated and regularly exfoliate at least once a week. Make sure your skincare routine includes the following products, which will leave all skin types feeling nourished all winter-long. Start by using a gentle, purifying cleanser to remove makeup and impurities that have built-up on your face during the day. Use a small, pea-sized amount and carefully massage it over your entire face and neck (taking care around the eyes). Keep working it into the skin until you have a lather, then rinse thoroughly with lukewarm water. Follow-up with a hydrating moisturiser that will keep your skin from drying-out. Apply directly onto freshly cleansed skin, remembering to swipe it in an upwards motion for both the face and neck. 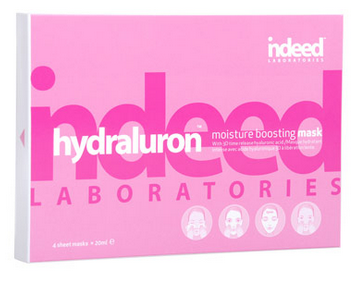 If your skin is particularly feeling dry and lacklustre, treat it to a nourishing sheet mask. Make sure your skin is freshly cleansed, then sit back and let the mask do its work. Leave it on for 15-20 minutes, then apply any excess moisturiser to your neck and decolletage. To give your skin an extra boost of hydration, follow-up the moisturiser with a serum. Apply it all over your face, or just to those troublesome areas such as the t-zone. Finish off your skincare routine by applying a heavy duty lip balm to combat dry, chapped lips. One of our favourites for winter is Cicaplast since it helps to repair lips without leaving a sticky residue. The harsh winter weather can wreak havoc on the delicate skin for both your face and body. 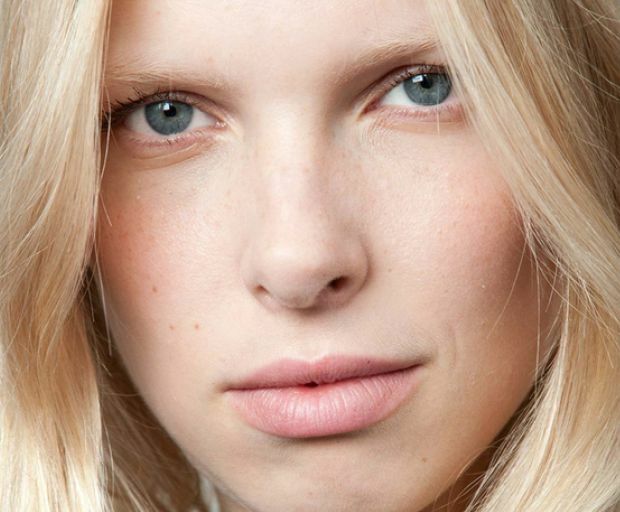 Commit to a daily winter routine which will moisturise skin and have it feeling brand new. No need to spend a fortune on new products which could cause unrealistic expectations, just grab a few inexpensive products from the supermarket or drug store, and get started. Keep in the habit of regularly exfoliating your face and body through the next few months. Dead skin cells will now more than ever build up on the forehead, knees, elbows and shins. Using a gentle clay mask on the face is the best way to remove any build up, and keep your skin looking firm and soft. For the body, try a coffee scrub which can quickly remove dead skin in minutes. Make sure to moisturise your entire body before you go to bed. This will help to keep skin soft and less likely to break or damage easily over time. Vaseline Intensive Care Spray Moisturiser ($7.99) is perfect since it dries in seconds, and deeply moisturises without leaving a greasy residue on your clothes or sheets the next morning. Cracked lips are painful, unpleasant and difficult to deal with during the colder months. Regularly exfoliate your lips by using a dry toothbrush and rubbing it along your top and bottom lips. Apply a lip balm which will soothe and nourish your lips, and re-apply throughout the day. A great option is the Carmex Mint Lip Balm Tube SPF 15 ($4.99). The added SPF will protect your lips against the sun, and keep them hydrated. Don’t forget to apply products with sunscreen even though the sun might not be shining. Instead of using a sunscreen which could leave an unpleasant sheen or shade of white on your face, look for a foundation with an added SPF. These products are easy to apply, inexpensive and don’t leave you with a shiny face all day long.